How was everybody's week? This week was my first week all by myself! No babysitting and my younger sister started school again so when I wasn't working I was home all by myself! It felt amazing waking up at whatever time I wanted and taking time to cook my meals. I haven't had a early morning to myself since May! I'm now looking forward to next week! 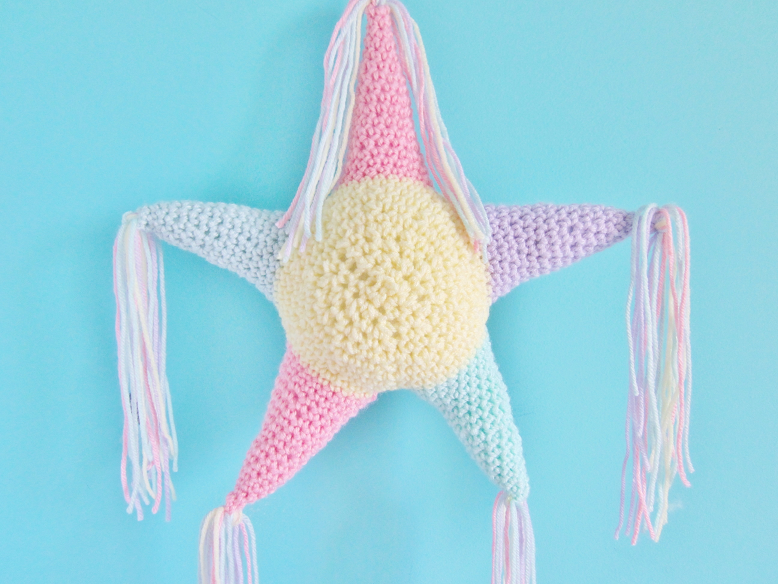 Also, this week I crocheted a pastel pinata star! What do you guys think? This was one of my ideas that I wanted to make for my Etsy shop reopening. It came out much bigger then I thought it would but I think theses could make cute room decor. I will probably make smaller versions so you could use as key chains. I would love to know your opinions on the pinata star. Would you buy a pinata star? The piñata star is so adorable and cute! I love all the pastel colors and the shape! <3 Love it! That little pastel star is so cute! !